Stephanie Sutton is the founder, owner and creative director of MOL. She began dancing under the direction of her mentor Miss Betty Hayes Baxter at age 5 when she went to watch her cousin’s dance recital and repeated “I want to do that” every day after until her mom signed her up. She continued her dance training through college at UW-Madison and into adulthood at conventions around the country. Stephanie began teaching dance in college upon Miss Betty’s urging. She soon discovered that she loved teaching more than anything she’d ever done before. This love of teaching and working with kids is what lead to another job: being a therapist for children with autism. She was in this field for 5 years as an in-home play therapist, consulting with schools on how to use space and movement to help kids with autism thrive, and developing treatment plans and IEPs for families and schools. When Stephanie graduated UW-Madison with a major in English Literature/Literary Criticism and a certificate in Medieval Studies, it was movement that continued to call to her. She continued dancing & teaching, autism/movement therapy, and also got her kids’ yoga training certification through Yogakids International. Through her experiences with this program she found ways to incorporate a number of elements into her movement curriculum including literacy, math, language, anatomy, community, nature, breath and self-affirmation. She began teaching yoga in schools, doing movement trainings for teachers in MMSD, WECA, Madison college, and several other area school districts, and teaching at Wisconsin-based dance conventions. After 10 years of teaching and refining her craft, she decided to take the plunge and open Move Out Loud in 2007. Stephanie’s exuberant energy, playful spirit and love for dance and children create a positive atmosphere where imagination and creativity are valued as tools for discovering the art of dance and freedom of expression through movement. Mariana grew up as a gymnast and dancer in Sao Paulo, Brazil and continued her dance training in the United States throughout high school and college. Mariana has earned a Masters degree in Social Work from the University of Wisconsin, Madison. During her time at UW, she was also a member of Hypnotiq: UW’s original hip hop crew for 5 years and coached the Sauk Prairie High School Dance Team. Mariana has been teaching for 13 years and enjoys using her skills as a dancer and social worker to empower and engage kids both physically and emotionally. Mariana is dedicated to creating positive and encouraging relationships with all of her students and loves creating dances that inspire dancers and audience members alike. Some of Mariana’s proudest achievements include co-writing and directing three winter shows with her dear friend, Stephanie Sutton and seeing her students grow as artists and people. Mariana is Move Out Loud’s Assistant Director and has celebrated many successes as a part of the MOL staff over the last 7 years. Originally from Minneapolis, Kendall moved to Wisconsin in 2012 to attend school at UW-Madison and earn a degree in Engineering Mechanics & Astronautics. While studying, Kendall was a Member of the UW Dance Team, performing at football and basketball games and national competitions and has been an essential member of the MOL teaching staff. 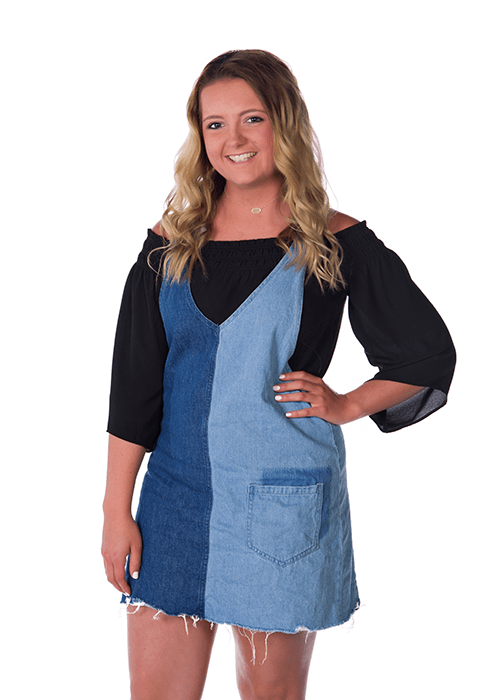 Kendall grew up dancing at Summit Dance Shoppe where she studied ballet, jazz, lyrical, tap, pointe, hip hop, musical theater, and contemporary. She started teaching and choreographing at the age of 16 and loves being able to help dancers improve their skills and nurture their love of dance! Kendall is an incredibly gifted choreographer and loves the process of creating dances from music, to movement, to costumes. During her time at Move Out Loud Kendall has won several choreography awards and furthered her training by achieving certification as an Acrobatic Arts instructor. Miss Abigail Henninger is MOL’s beloved ballet teacher, starting her third season with the program. She enjoys seeing the development of her students, both technically and personally, and has a passion for spreading the love of ballet. Abigail grew up in Erie, Pennsylvania where she developed a love of Ballet at the Lake Erie Ballet. As a child, she attended numerous summer intensives including, Central Pennsylvania Youth Ballet, Universal Ballet Academy (The Kirov), Ballet Magnificat, and Masterworks Festival of the Arts. At the age of 18, Ms. Henninger received her first contract and immediately started performing professionally. She has danced professionally with Madison Ballet, Missouri Ballet Theatre, and Sarasota Ballet, and has had guest appearances with Hosanna Sacred Arts, Master Works Festival, Neglia Ballet, and Suzanne Farrell Ballet in conjunction with the Sarasota Ballet. Abigail has also had the privilege of performing at the Kennedy Center. She has performed some of the great works of renowned choreographers such as Christopher Wheeldon, John Cranko, George Balanchine, Sir Frederick Ashton, Mathew Bourne, Andre Prokovsky, and many more. She has been blessed to perform lead roles in ballets such as "Who Cares", "Giselle", "Swan Lake", and "Les Patineurs". Some favorite ballets from her repertoire include: "There Where She Loves" by Christopher Wheeldon, “Nuoto” by W. Earle Smith, and "The Rakes Progress" by Ninette de Valois’. 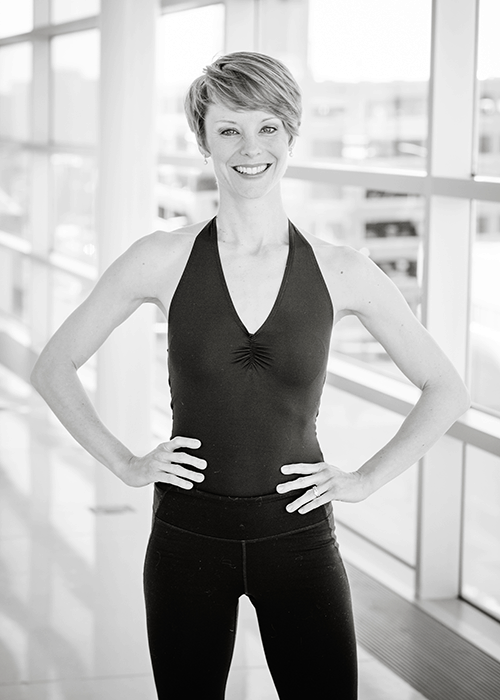 As a choreographer, Abigail has been able to set original works on Missouri Ballet Theatre, Hosanna Sacred Arts, Saving Grace Dance Ensemble, Arova Contemporary Ballet, and dancers of the Madison Ballet. She is the founder of Magnum Opus and serves the company as both a dancer and the artistic director. During the premier season of Magnum Opus she was able to set eleven new works and one full length ballet. Abigail also recently became certified in Adaptive Dance from Boston Ballet. Loran began her dancing career when she was three years old at a studio in rural western Wisconsin. She started competing in hip-hop, ballet, jazz, tap, musical theatre, and contemporary in the Minneapolis area at seven years old. She started assisting and teaching when she was thirteen years old. Loran’s proudest dance moments include being crowned Teen Miss Encore, Overall National Solo Champion, and being apart of various national opening number routines across the country! This will be Loran’s third year as a teacher at MOL and as a Badger at The University of Wisconsin-Madison where she is studying chemistry, and planning to go to medical school. Nicole is excited to start teaching at Move Out Loud this year. Her dance experience lies primarily in hip-hop and musical theatre and she is passionate about creating a positive and engaging learning environment for kids. She believes dance is a beautiful and honest mode of expression and can be used as a way to build confidence, express emotion, and connect with oneself and others. Nicole hopes she can empower young dancers to learn more about themselves as well as create a safe and warm environment for them to explore movement confidently. She is thankful for the MOL team that has always encouraged her and welcomed her as a dancer and is very excited to be a part of the team! Kaitlin began her dance training at the age of 3 and immediately fell in love with everything dance had to offer. Over the years she has trained in every style she could including three years of ballet school at Minnesota Dance Theatre, three years of High School Dance Team, and four years with the University of Wisconsin-Madison Dance Team. Kaitlin is passionate about sharing her love of dance with her students and hopes she can be a positive mentor to kids like her dance teachers were to her during her childhood. Kendall started dancing in Waukesha, WI at the age of three. She grew up training in ballet, jazz, tap, hip hop, modern, contemporary, and lyrical. 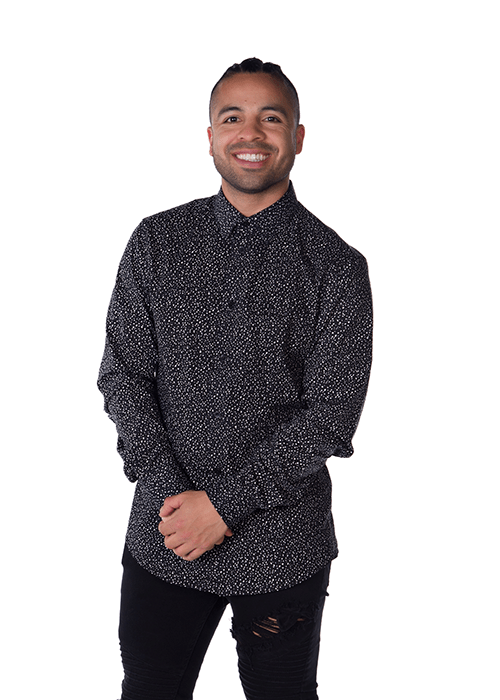 Kendall started dancing competitively at the age of 7 and continued competing throughout high school and college winning various national and regional titles. In high school, Kendall was captain of the Dance Team, was runner-up for Miss Badgerette and got an early start teaching dance at a local studio in Muskego, WI. In college, she earned herself a spot on the prestigious UW Dance Team for three years - competing and cheering on the Badgers at football and basketball games. Kendall has a special gift for working with children and dedicates most of her time towards fitness and education. Kendall is a certified Barre instructor and this year she will earn her degree in Middle-Childhood education from the University of Wisconsin- Madison. Lauren O’Neil is from Orland Park, IL and has been dancing for 17 years. She has trained extensively in tap, jazz, ballet, and modern dance at numerous locations around Chicago and Central Illinois including The American Rhythm Center, Lou Conte Dance Studio, Loyola University Chicago, and Illinois State University. 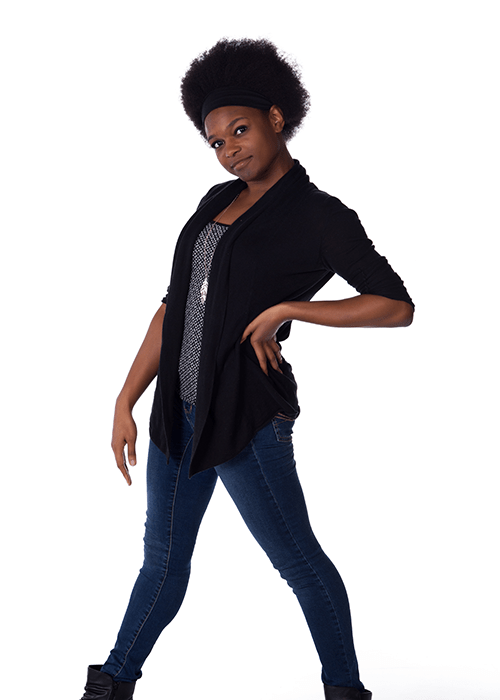 Her studies have taken her across the country, performing and taking classes at Slide Tap Convention, D.C. Tap Festival, and Chicago Human Rhythm Project’s Rhythm Worlds. In 2014, Lauren was named a Rhythm Worlds Tap Scholar. Lauren has had the honor of performing with the Dig Tap Society under the direction of Sarah Savelli, and has also appeared in the McDonald’s Thanksgiving Day Parade and Dance Chicago. Lauren is currently working as a dance competition judge, tap instructor, and choreographer. She recently graduated with a Bachelor of Science and a minor in dance from Illinois State University. 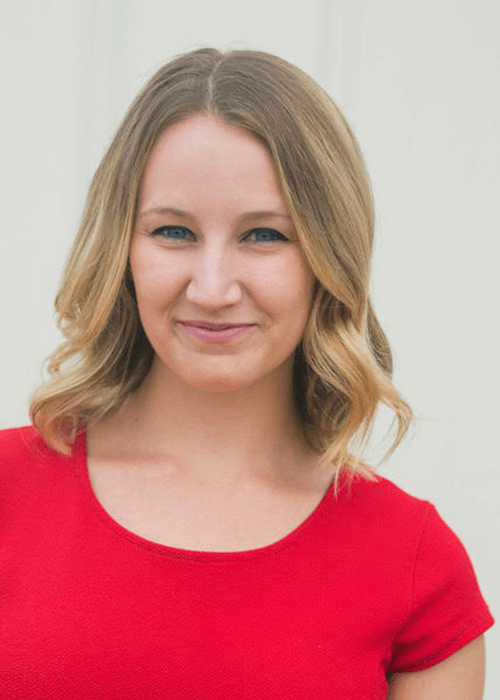 Lauren is now pursuing a doctorate of Audiology at the University of Wisconsin-Madison and is excited to continue to share in her love of tap dance with the city of Madison! Sara Bartlett is a Verona native who holds a degree in Dance from Northwestern University. She danced professionally as a Radio City Rockette before returning home to work as a dance instructor and choreographer. 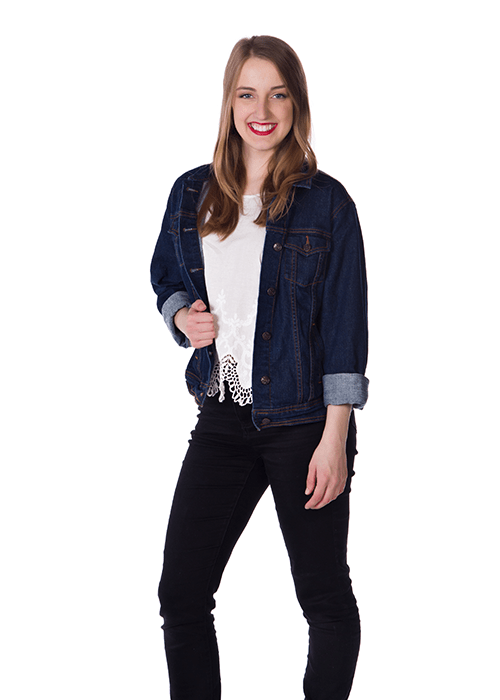 Sara taught Advanced Tap and Jazz at Studio One Dance School for twelve years and has been choreographing for schools and community theaters around the Madison area for the past eighteen years. She is the recipient of six Tommy Awards for Outstanding Achievement in High School Musical Theater. Sara proudly serves as Board President and Executive Choreographer of Middleton Players Theatre, and can occasionally be seen back on stage with them. Sara also teaches Pilates and stays busy with her two children Paige (9) and Guy (6). Kate Mayefske is Move Out Loud’s beloved modern dance instructor. Kate is a certified yoga teacher, a mother of 2 and a proud supporter of the Alzheimer’s Association of South Central Wisconsin. She graduated from The Juilliard School with rigorous training in ballet, modern, partnering, improv, choreography, acting and music. After school, Kate was a professional dancer in New York City, studying the various styles of American modern dance masters and working with up and coming contemporary choreographers. Her proudest dance accomplishment is dancing with Takehiro Ueyama of Take Dance. Kate's favorite styles of modern involve both wild athletic movement and fluid grace. She loves nature, kids, elders, and her dog-like, loyal cat, Yukon. Lindsey has been dancing at Move Out Loud since the studio's very first year in existence and is proud to be an official member of the MOL staff. 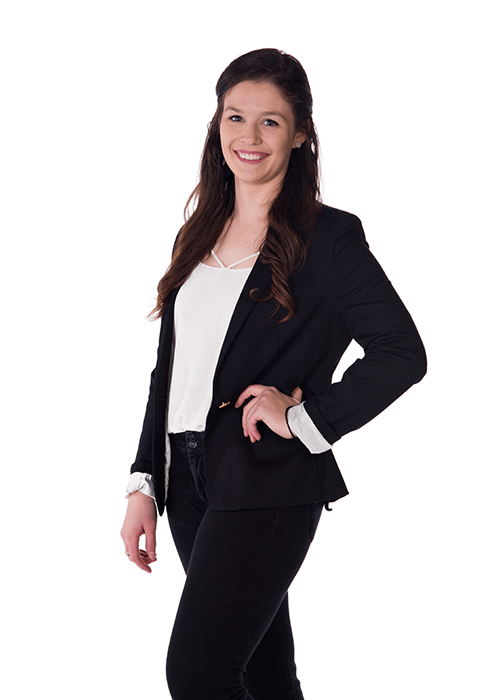 She has studied various forms of dance such as hip hop, ballet, jazz, contemporary, and most recently tap and has been gaining experience as an assistant teacher for 2 years. Lindsey was a leader on the MOL dance team and her high school dance team and really enjoys being a positive role model for dancers at the studio. Lindsey is currently a Sophomore at Edgewood College and hopes to become a pediatric oncology nurse. Lindsey’s proudest dance moments were not always at competition or on the stage, but rather in class when she was able to achieve new skills after much hard work. She looks forward to seeing her students grow and succeed and hopes dance brings them as much confidence and pride as it has brought her. Lindsay is honored and extremely excited to join the Move Out Loud family this season as a jazz instructor and to lead the MOL dance team’s strength and conditioning classes. 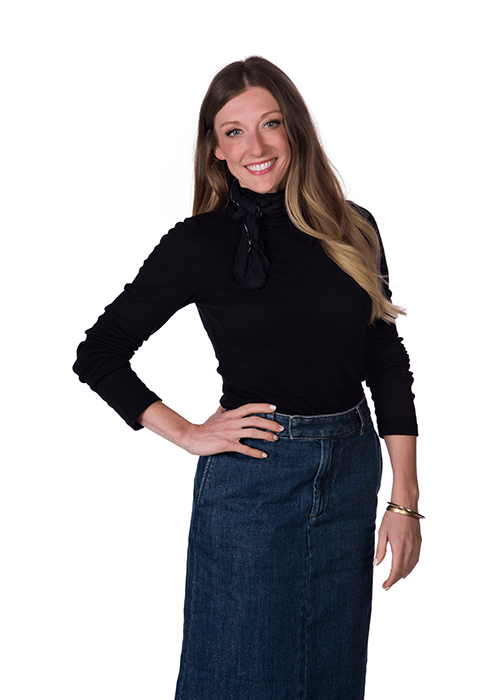 She is the ultimate dance mom and is excited to bring together her lifelong love of dance with her passion and expertise in the world of youth health and fitness. Growing up outside of Buffalo, New York, Lindsay spent the majority of her days both dancing and figure skating. She competed on national level dance teams in jazz, tap, ballet, lyrical, hip hop and musical theater. Lindsay went on to dance at Boston College, and eventually progressed to dance professionally for the New England Patriots of the National Football League for two years. Lindsay is now the co-owner of a fitness company with her husband, John, while also being the mother of two children, Madison and Cameron who both share their mother’s love for dance.